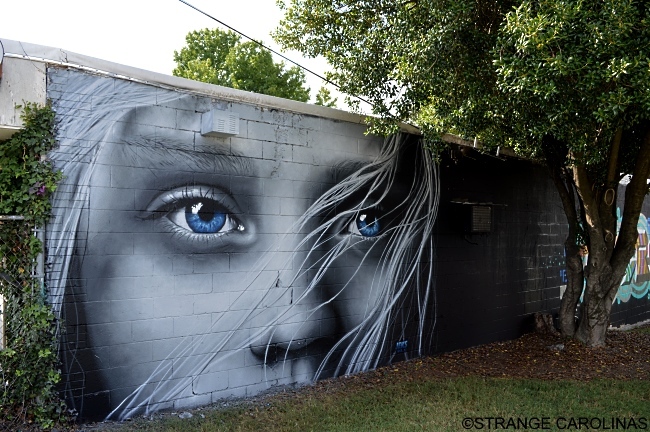 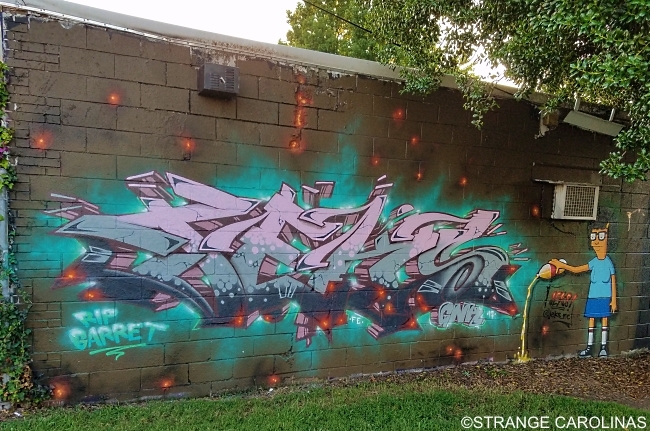 Greensboro's Cheap-O Video is long gone, so some local artists have recently painted its walls to give it a little more life. 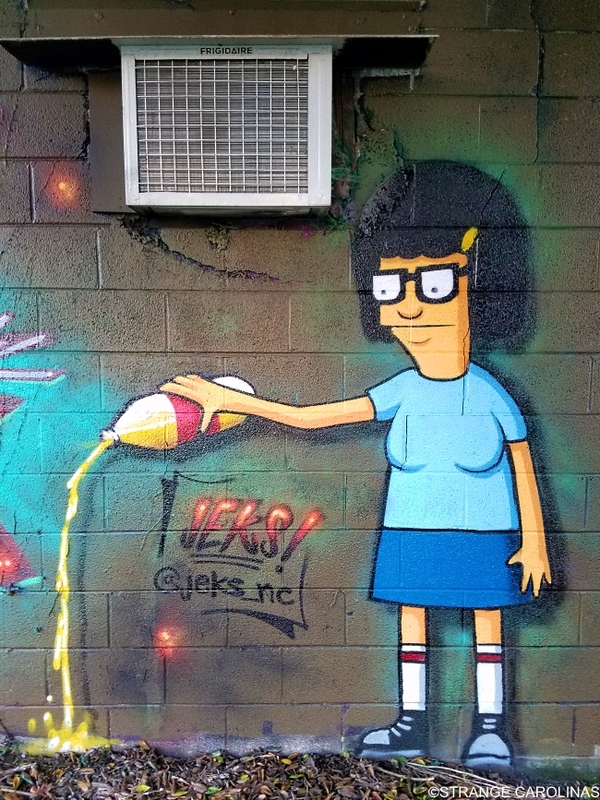 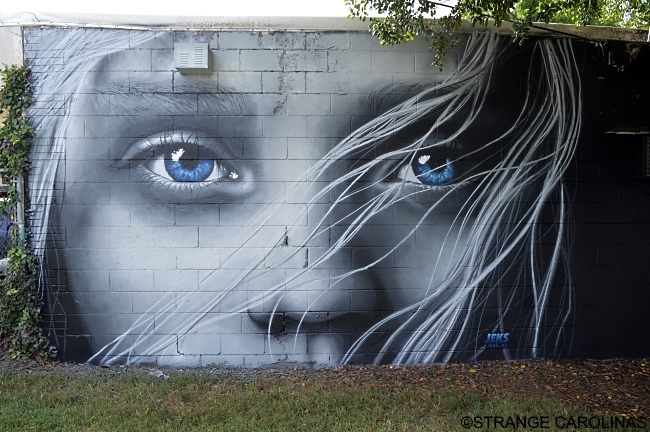 JEKS (jeks_nc) created this beautiful mural on August 29th and 30th. 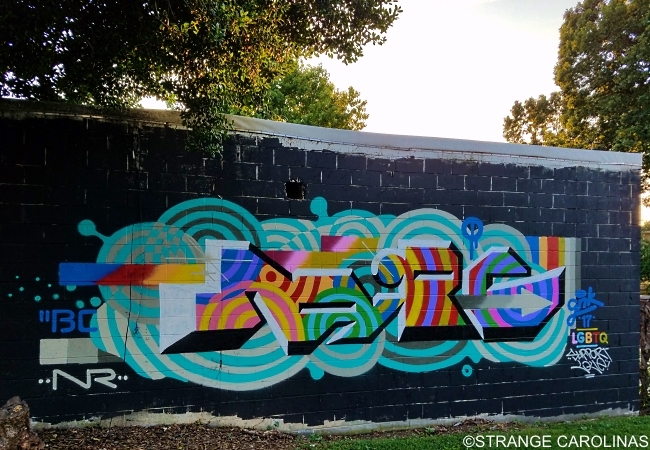 Mitch Cook (@mitchtheyouknow/MTYK) was inspired to create this beautiful piece by Greensboro's LGBTQ community. 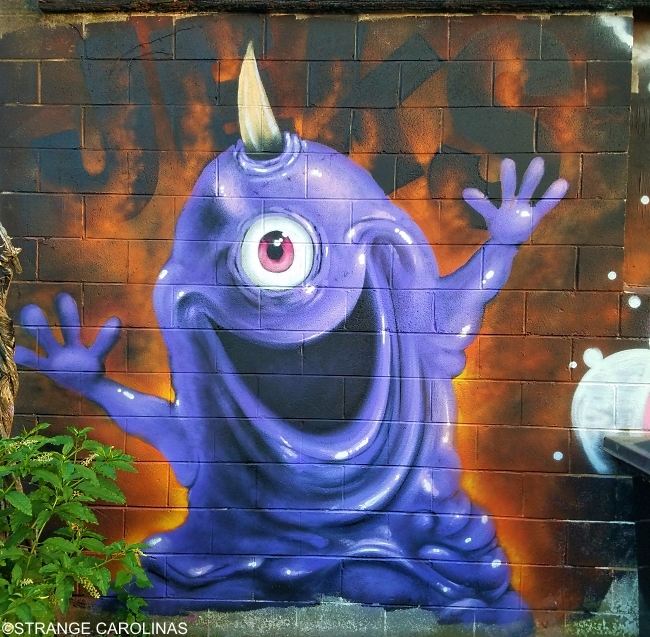 He also did the awesome purple monster behind the building.